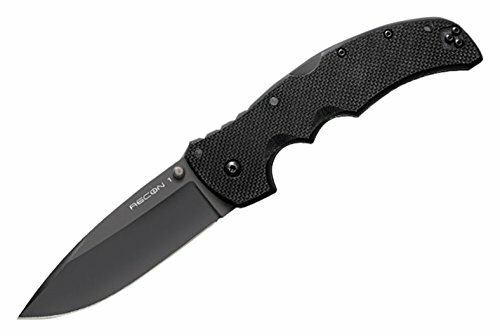 A knife that you can comfortably carry every day is an important tool for any prepper. Knives have always been a big part of my life. As a child, my dad always had a massive knife collection and would have friends over that he would trade with or fix their knives up and sharpen them. As early as 8 years old, I had a little knife collection of my own. Boker and Case Knives bring back a lot of memories for me because when I was a little girl, I had a knife collection. I had a few that were okay and then I had some that were novelty knives with Coca Cola ads and even one that had Betty Boop on it. I was so proud when I traded someone out of a Boker knife. I definitely got the better end of the bargain and rushed home to tell my dad all about it. I managed to get a knife made in Solingen, Germany which to me at that age was a huge deal. I was always on the look out for a Case Knife to add to my collection. In grade school, my every day carry knife was a cheap little lock back that I wore on a string around my neck at times. It was German steel but not a pricey knife. I wasn’t about to carry something that it would be a huge and expensive loss if I dropped it or something. I wore my fingers out sometimes whittling with that thing! I even dragged a small tree into the yard once and tried to carve a totem pole with it before giving up after I gave myself one too many blisters. Finding a good EDC knife will hopefully be easier for you to do after reading this article. Before we get into the knives I found, let’s go over a few things to consider when deciding on which EDC to purchase. Some areas have limits on how long of a blade you can legally carry. While you might ignore this rule in a SHTF scenario or on your own property, EDC knives that you are going to have on your person when out in public or in your car should fit within the rules so you don’t get hassled. Personally, I don’t think these rules make much sense but they are there and no one needs a concealed carry violation. Heavy knives are cumbersome to carry and that can lead to you not carrying it which is the whole point with every day carry knives. Some people like more heft to a knife than others. You also need to consider the size and shape of your hand. A knife that you carry all the time needs to be able to hold up to daily duty. Hand strength and size of hands varies by the person. Spring assisted knives or those with one handed opening mechanisms can be best for some users. If you discover that your EDC is not holding a good edge or is hard to sharpen, it may be time to upgrade. A lot of knife companies have different lines that are made in different places. If it matters a lot to you where a knife is made, always double check the model that you are considering on buying. The same company may have knives that are made in three different places or they may make knives in Taiwan but use American steel like some of the Cold Steel line. This knife looks like a tactical knife and it was definitely inspired by quality tactical knives but it is actually a very functional everyday carry knife at a great price. The sturdy locking design and single blade are exactly what most people need for every day carry. The Outburst mechanism makes it easy to open this knife with one hand. Quality stainless steel adds strength and durability. I like that special attention was made to machine this knife to have a comfortable grip when performing the typical tasks one expects from an every day carry. For those that like some serration and a bit of a different blade, there is a lot to be said for the Tanto. I bought one of these for my father and one for my husband many years ago and they seem to be happy with them and they can be pretty darn picky when it comes to a knife. The steel is good and it is very easy to open. This knife is a bit narrower and has a thinner blade than the river guide knife that made Columbia Knife and Tool. The Finn Wolf Folder is a solid knife from well known maker Cold Steel. This is the folding lock back version of the Pukko knife that some of you may already be familiar with. The Finn Wolf is part of a design collaboration with custom knife-maker Andrew Demko. This lightweight knife features a satin polished Japanese AUS8A blade that is easy to resharpen when needed. An ambidextrous pocket and belt clip help secure it to your person. The biggest complaint users seem to have is that the knife has a very stiff locking mechanism. Some have left their knife open for a few days to simulate every day wear and the lock is a bit better. If you have bigger hands or want a more substantial size blade then there is a lot to be said for the Recon 1. It gets solid reviews but it is also one of the more expensive Cold Steel Knives out there. Amazon has an excellent bargain on them. If you like the look of this knife but it seems a little large for you then you will be happy to know that it also comes in different blade lengths that will also allow you comply with any restrictions in your area. One of the stand out features of this knife is the USA made steel. The overall knife is still made in Taiwan. 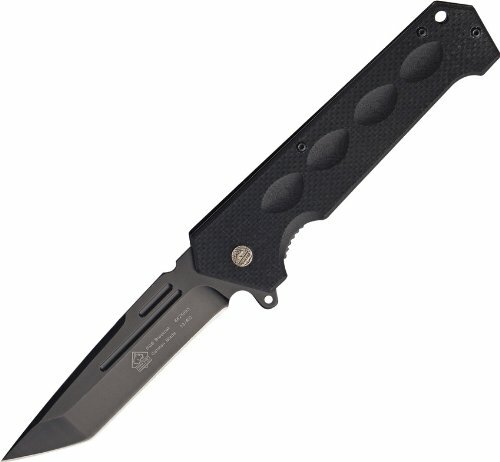 All of the Cold Steel Knives I looked at during my research appear to be made there even if some of the actual components are not. Sometimes you just want something small and light to do the job but still durable enough to take some rigorous use. This knife is a solid little choice for those that want a traditional style every day carry lockback. The bone handle comes in many different colors so if you like a bolder color you are covered. 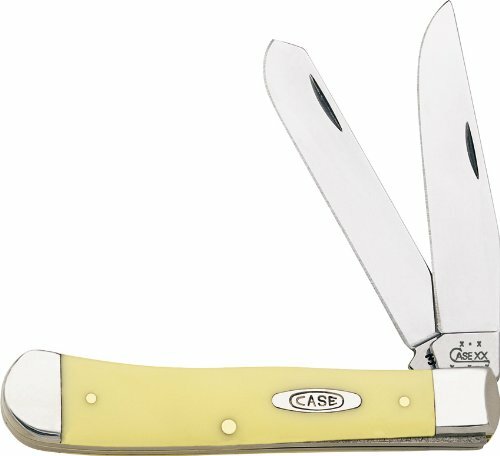 Like all Case Knives, this one is made in the USA. Tru Sharp surgical steel will hold an edge very well over the years. It is hard to go wrong with Case. 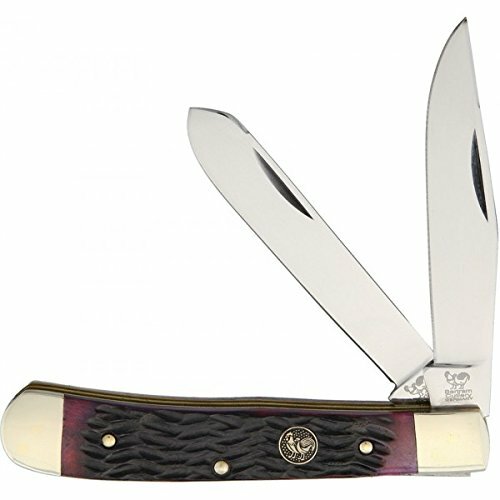 With many years of experience making knives, there are a lot of people that are loyal to Case for everyday carry needs. What list of EDC knives would be complete without the Case Trapper? For those that like the versatility of two different sizes of blades, this is a classic choice. Made in the USA of chrome vanadium steel, this knife is made to last a lifetime and like with all Case Knives, you actually get a lifetime guarantee. This super sleek and lightweight trapper is thin enough that you will barely notice it. The lightweight comes from the titanium handle and VG-10 steel. This knife is made to stand up to a lot of use. 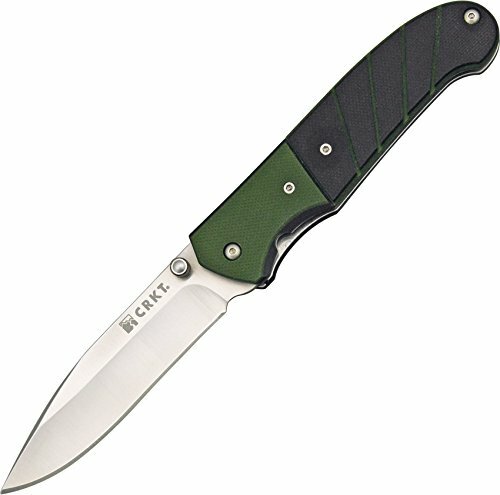 It is made in China though so for those of us that remember Boker always being German made, I don’t want you to order this and be surprised. 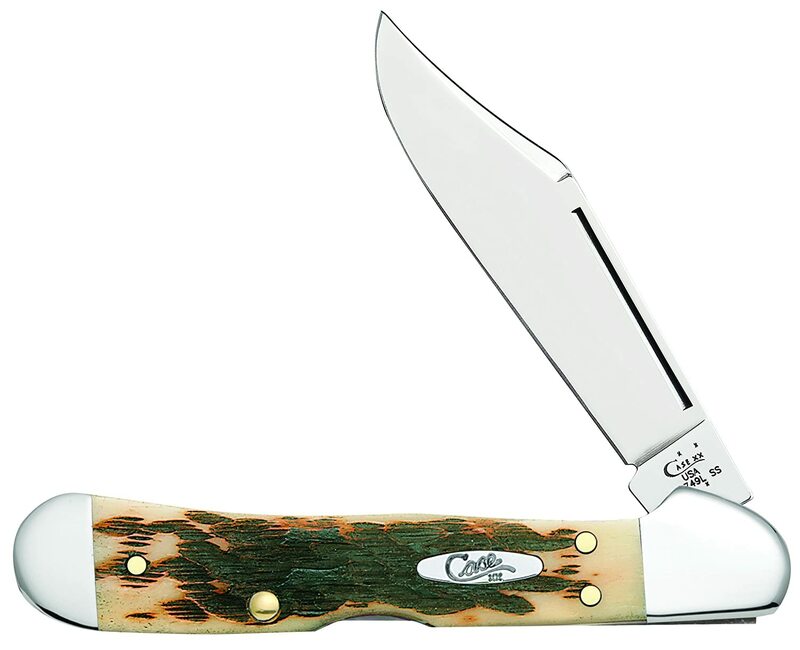 There are a lot of people that are big fans of this knife and attest to its durability and ease of carry. Scales on the grip make it easier to handle than some other metal handled folders out there. High carbon stainless steel blades make this Boker easy to sharpen and keep a good edge on even with daily use. Two blades and a bone scale handle are nice touches. Finger grooves make for a great grip. For the price this is a good option for every day carry. It comes with a leather sheath so you can put it on your belt and start carrying securely right when you get it. Not all knives come with a sheath, especially for this price. A 3 inch blade length means it is not going to draw a lot of attention by being too large. A lock back mechanism keeps you safe while you carry out daily tasks. This classic Puma Trapper is budget priced and rugged. You are getting German Steel and there is a lot to be said for that. 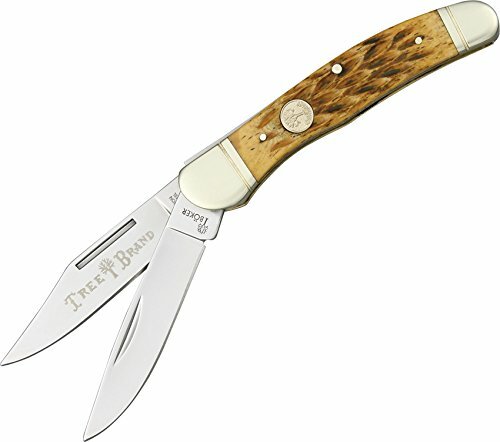 It holds and edge well and the classic trapper design is one that a lot of people are comfortable with. Everyone doesn’t want or need a knife that looks like a military tactical knife. Puma is a good alternative to some of the more expensive Case trappers out there for EDC. The handle on this knife is genuine Stag which is getting harder to find. This knife is on the larger side and made of high quality German Steel. A liner lock keeps this firm and solid when using. The sturdy spring assist is nice for those that have a hard time opening traditional knives. A belt clip holds it in your pocket for easy retrieval. The size may mean that it does not fit so well in the small pockets that some pants have, especially women’s. It really is hard to go wrong with Hen & Rooster. This quality made trapper will stand the test of time. Another knife made from quality German Steel, these knives hold their value and often even increase in value over time if you put one back and keep it. 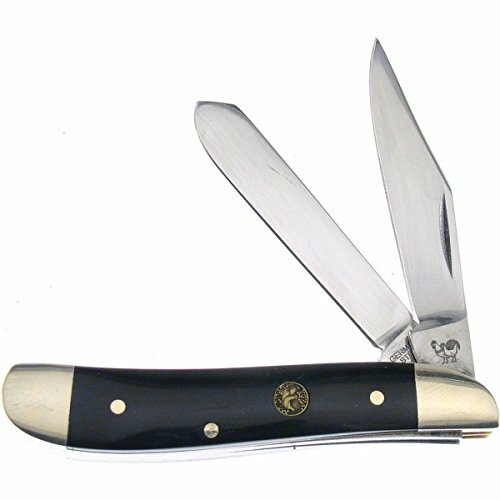 Nickel bolsters and the classic Hen & Rooster inlay make this a classy looking EDC knife that will serve you well. The brown pick bone handle offers a good grip and is made to last. The Peanut is a good EDC for those looking for something small and practical. If you have small hands or you are buying this for a younger person then this is a great value for a German made knife. The blade length makes this legal to carry almost anywhere that knives are allowed at all. The genuine buffalo horn handle and grip is beautiful and a good affordable alternative to stag handles. The Flash II features a low profile clip for discreet carry and a quality stainless steel blade. 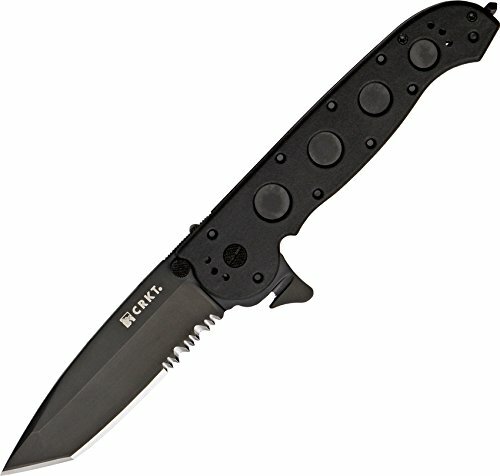 The assist makes it a reasonable choice for those that need some help or just want quick access to their blade at times. 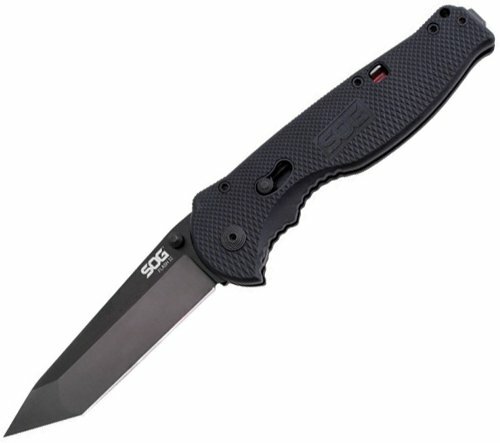 SOG offers some quality knives at a good price. The grip is made to be very comfortable and reduce slippage when performing EDC tasks. This is a larger knife when open but the profile is sleek enough that it is not a big deal unless you have really small hands. 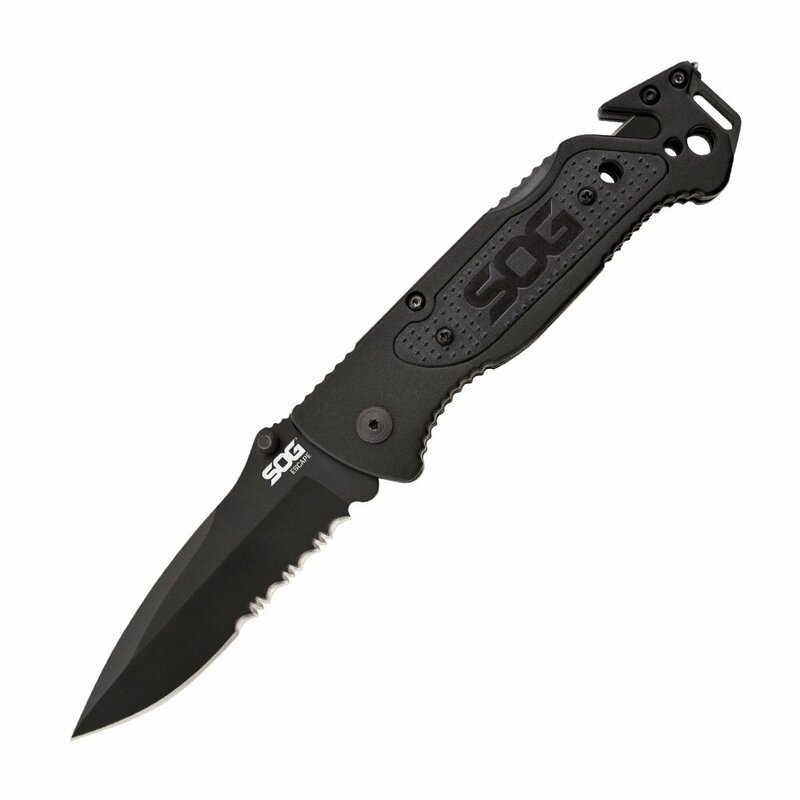 I am impressed with what SOG offers for the amount they charge. The SOG Escape is not your average EDC knife. While the partially serrated blade is up to a wide variety of tasks, you also get a wire cutter, strap cutter, and even a glass breaker! 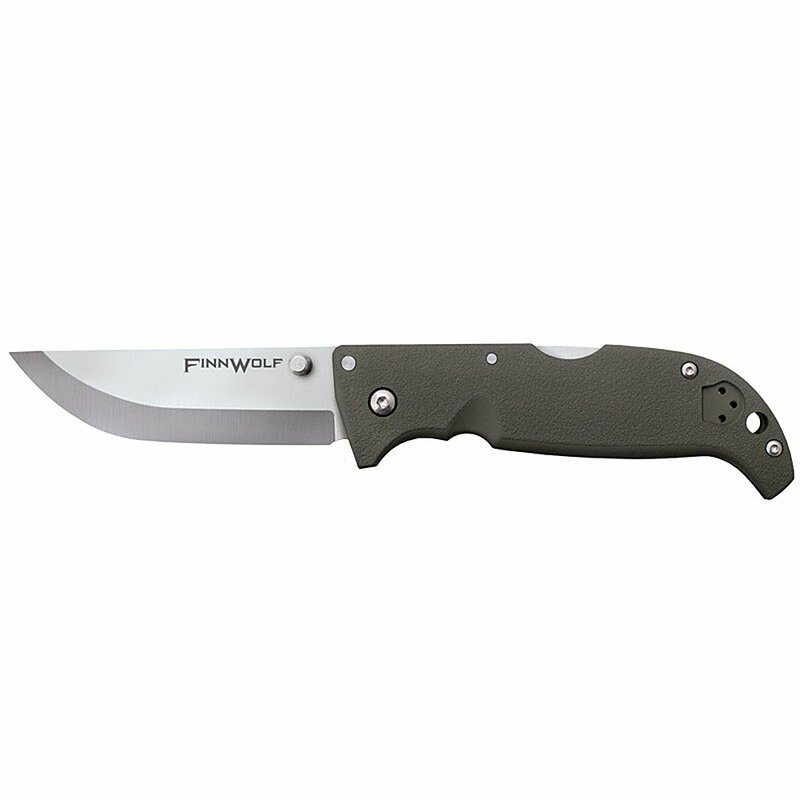 This handy lockback knife has an aluminum handle that helps make it lightweight yet strong. A wire stripper and extra line cutters are hidden discreetly under the handle slab. Knife preferences vary a lot. It may take buying a few knives before you find the one you are comfortable with if you are starting out with little to no experience with every day carry. It is advisable to avoid any weird shapes or designs for a first every day carry. I am not going to say that all designs with unique handles are bad but until you get a feel for using and carrying a knife daily you might consider just sticking to a basic one or two blade lockback folder with standard non serrated blades. A lot of the knives on this list are quite affordable so you may want to get a couple of them and figure out what one you like best. An extra knife is not a bad trade item to have and you can probably find someone in your family that would like to use it if you find that it is not the right one for you. Knives of good quality maintain their value and sometimes even increase in value. My Dad has sold quite a few knives on Ebay and made a profit off them. It is a good way to get rid of any knives that are just not right for you or if you one day find that you have more than what you know what to do with. If you buy a used every day carry knife at a flea market or gun and knife show from a prominent maker like Case you may want to look up what they are selling for on Ebay before you start carrying it. Sometimes people don’t know what they have and you might find that you are better off reselling and making a profit and then getting something more reasonable and not as collectible for Every Day Carry. This is just a few things I have learned about knives from my Dad over the years that I think is worth sharing so you can make the most of your money. I apologize if I left off a brand that you admire. There were far more knives and companies worthy of inclusion then I could put in this article. It was a challenge to narrow it down to the ones I did include. However if you want please feel free to email or comment below on what EDC knives you love and I will try to include them in future posts! Also please ask any questions you may have and I will try to respond ASAP! Author Info: Samantha Biggers lives on a mountain in North Carolina with her husband and pack of loyal hounds in a house her husband and she built themselves. When not writing she is working in their vineyard, raising Shetland sheep, or helping her husband with whatever the farm and vineyard can throw at them. Nice selection. However, I wouldn’t select a tanto or a serrated blade for EDC. The tanto is too hard to sharpen correctly and, to me, a serrated blade renders half the edge good only for cutting rope. They are great for tactical carry however. I will stick to a “fine” edge for my EDC. The CRKT Ignitor is a solid choice. I’ve carried one off and on the last few months. Love the assisted open on it and the blade retains a great edge. My knife is a Victorinox Swiss Army Knife “Tinker”. It’s not the fattest SAK-style multi-tool knife, but it has features that I use more often than you might think. Just last week, a co-worker was trying to get lunch out of a can, but her can opener wasn’t working. My SAK’s was. Needed to open bottles for Thanksgiving dinner: out comes the SAK bottle-opener. Paying bills? SAK small blade opens the letters. Just this morning, I used several of the tools to repair a stopped clock. Also, while I can’t carry it EVERYWHERE (e.g., while flying or in court), it’s a very “domesticated” collection of tools, not obviously a weapon. I got caught in grade school with my old timer pocket knife made by schrade. The principal took it away and gave it back at the end of the day. and not fear federal prison time? The number one thing I always want to know about a knife: what kind of steel is it? You only mentioned the actual steel type on one knife that I noticed. IMO, you should add that to your spec list for each knife. A lot of companies make similar looking knives… until you really look at steel type. Good steel is expensive but a solid EDC needs something far better than generic stainless. My EDC knife is a Kershaw OSO Sweet in blackwash. Easy to sharpen, nice scales, speed assist opening. When I bought it I paid around $21.00 for with free shipping. With quite a few knives in my collection, I find my goto EDC are the Benchmade mini-reflex II and Kershaw Blur. Lotsa nice knives in your article. I live in Montana and am currently in my 70s. Most of my hunting has been for big game like elk, deer, antelope, bear, mountain goat, sheep and moose. Over the past 37 years my main goto edc type of knife has been the swiss Victorinox Huntsman. It has 2 very easy to sharpen blades and 13 other “tools” that have come in handy not just for hunting but also for everyday carry. I have lost count how many game animals I have used this on to clean out after harvesting. The carry case, cloth type, died about 10 years ago and have just carried it in my pocket ever since. As of recently, I purchased a Boker Urban Trapper as mentioned above and like it very much, especially when dressed more for non hunting activities. I never leve home without the Trapper or Huntsman in my pocket as need dictates.